Has the thought of metal wires all over your mouth been preventing you from having your teeth straightened? What if your Kearney orthodontist could straighten your teeth using clear aligners that allow you to avoid traditional braces? Well, think about it, because we can! They’re practically invisible. Clear aligners such as Invisalign utilize transparent custom fit dental trays that are placed over your teeth to gently realign your smile. Most people won’t even know you’re wearing them! They are removable. Today, there are cameras everywhere waiting to record a perfect moment or a special meal. 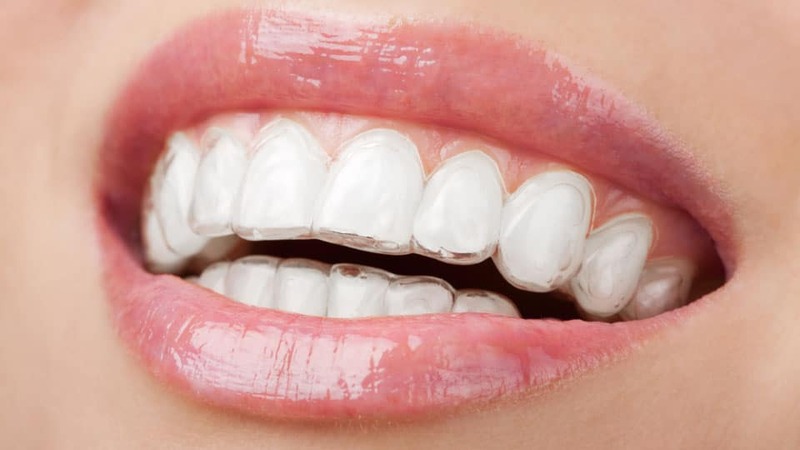 The removable trays for the clear aligners just pop off whenever you need them to whether it’s for a photo op or to attend a special occasion. Cleaning is quick and easy. Unlike metal orthodontic braces, the removable trays allow you to brush and floss your teeth normally. There is no need for special brushes and flossing tools. There are no food restrictions. If you love corn-on-the-cob, enjoy movie popcorn and crave a crunchy apple, we have good news for you! There are brackets with clear aligners, meaning you can eat anything you want! There are fewer visits required. We know your time is valuable and with clear aligners, you’ll only have to visit our office every 4-8 weeks. There are also health benefits to having straight teeth. Those patients who have crowded or overlapping teeth have a more challenging time keeping the areas between their teeth clean, which can lead to periodontal and gum disease. And periodontal disease can lead to other more serious health conditions. When you decide to straighten your teeth you aren’t only choosing to improve the appearance of your smile, but also your comprehensive health. Choosing clear aligners such as Invisalign will help you get a straight and healthy smile. Want to know if you’re a candidate? Call our office today to schedule a consultation and let’s find out! Will I Need Braces If I’m Starting To See A Gap In My Teeth? 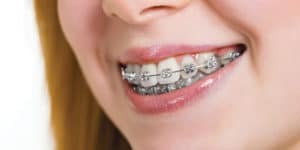 Will I Have to Wear Rubber Bands with my Braces?